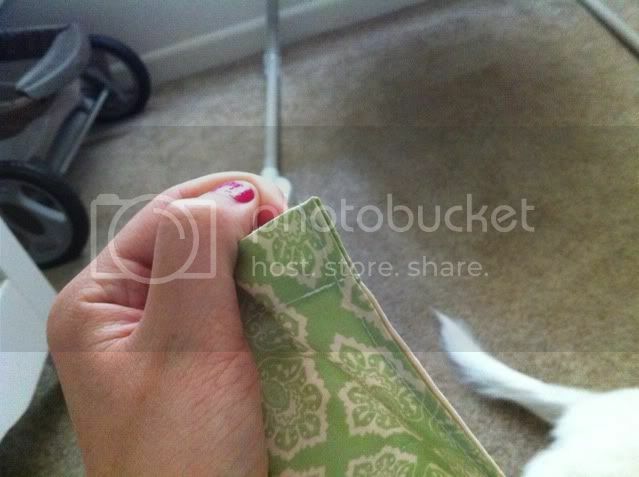 my daughters valance is not big enough to go across the whole window so i'm looking to put two short valances on each side. they each need to only be a foot long and can be any solid color/pattern so long as they look cute with the current valance i have now. i'm not picky. i got a sewing machine for xmas but i'm not that good yet to where i can make it for myself. it can be solid pink(since there's a pink sqiggly stripe) or the solid off white color or something. i really don't care i just want it to look cute in the window. 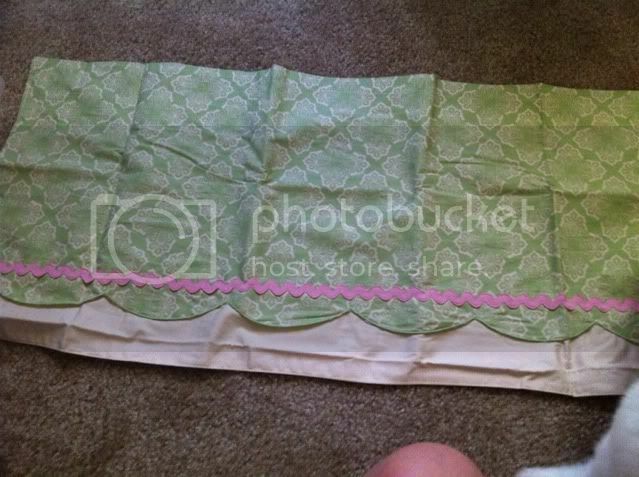 anyway here's the valance i got now. if anyone can help me out and can send me a price i can send a deposit for them to be made or whatever. i'm not sure how that works. TIA.